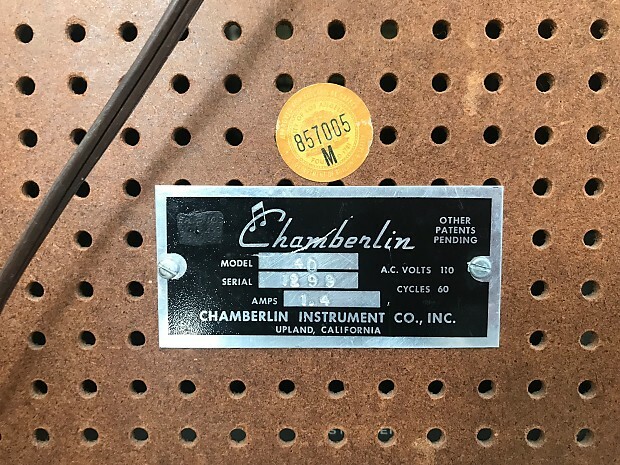 This is reportedly the first drum machine in history, made by Harry Chamberlin in Upland, California. According to Wikipedia, approximately only ten (10) of these were ever made. 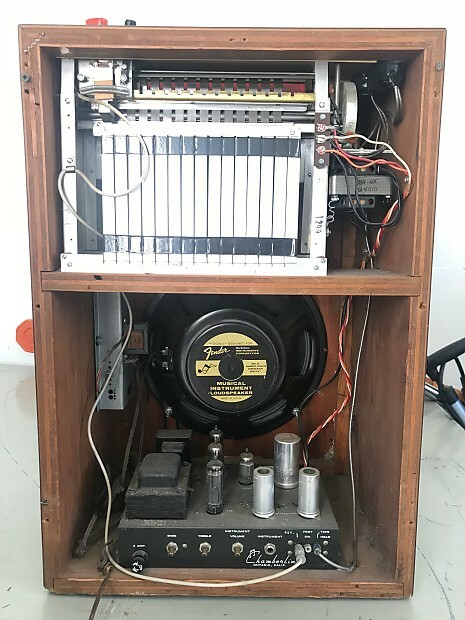 Please Google this machine for more researched specifics (I can't post links here), but basically, this is a very rare and special instrument that is a big part of the history of music. Early keyboard synthesizers grew directly from this technology, tape recordings being played and triggered by keys, Mellotron, etc. 14 tape loops with 3 tracks each featuring an actual audio recording of a drummer playing various styles. You move the tape head from loop to loop, and can slide it on the loop to blend tracks. This machine still holds all 14 original tape loops and plays them perfectly. Flaws: There is some cosmetic wear on the front panel. The tempo control knob is a little touchy but this is an easy fix and probably due to an aging rubber roller. The spring reverb seems to be out of service, probably also an easy fix. It’s the same type of basic spring reverb that comes in older guitar amps. Also, the speaker is not original. It has been replaced by a Fender speaker, many years ago. Other than that everything else still works well and the tape loops are intact. In 1999 my great uncle Bill Lowman was dying and my family was gathered around at his house in Anacortes, Washington. He knew I was a musician so he wanted to pass on some of his instruments and amplifiers. His house was full of amazing an peculiar things and he was a total “character”, not enough space here to really get into it. I don’t think he knew that this Chamberlin was as rare or as historically significant as it is, and I don’t know how he came to possess it. He was an amateur musician (piano and violin), but mostly he was a commercial fisherman. At that time I was 21 years old and living in Olympia, Washington and recording music as “the Microphones” for the K label at their Dub Narcotic Studio. 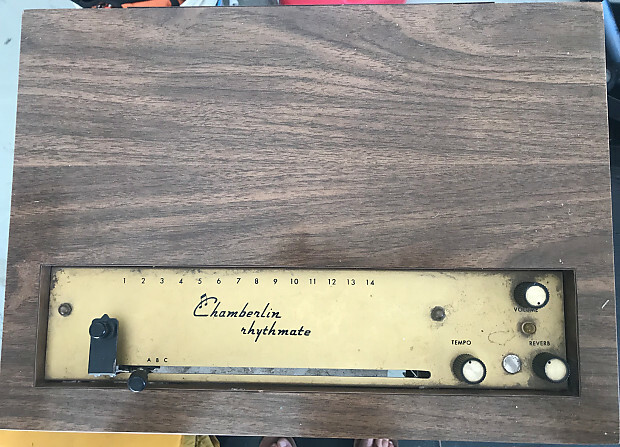 This Chamberlin Rhythmate came with me and became a part of the studio. For years we gave the machine the nickname “Karl Blau” (and it’s credited on Microphones albums that way, in quotes) because my real human friend Karl was supposed to be the drummer for a show, opening for Stereolab in Vancouver, but had to bail at the last minute, so we used the Chamberlin and called it Karl Blau. Pointless digression. 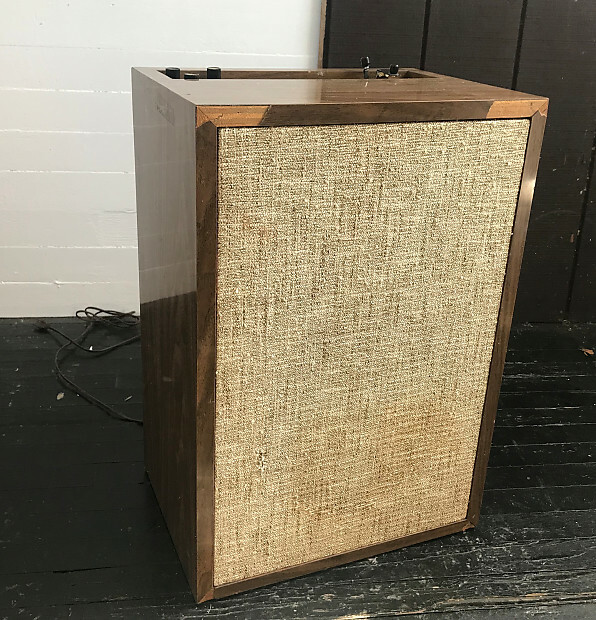 If any prospective buyer is interested in the history of independent music in the Pacific Northwest, this machine has been used on countless albums recorded at Dub Narcotic in Olympia (Microphones, Mirah, Mount Eerie, the Blow, etc.) and also at the Unknown in Anacortes from the early 2000s on. I even took it on tour with me once, a solo “Microphones” tour. 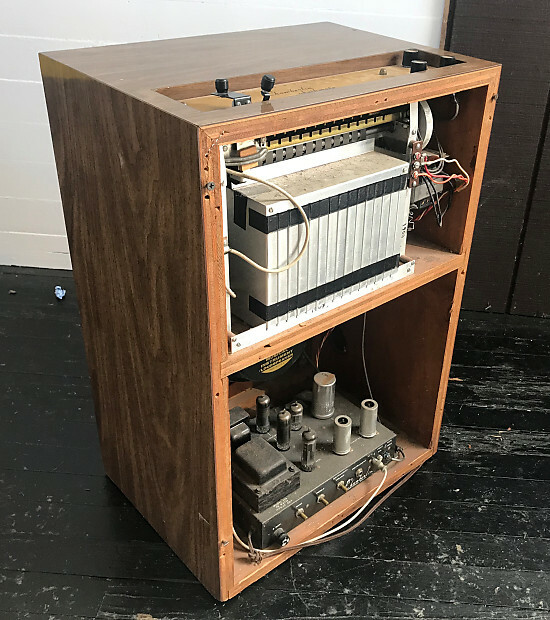 While getting it adjusted at a guitar shop in Santa Cruz, the tech knew what it was, made some phone calls, and offered to buy it from me for “Neil Young’s studio”. Apparently he’d been looking for one. I said no thanks because I was in the middle of a tour and needed it. Maybe he wants it still? Of course, local pickup in Anacortes, WA would be the safest, but if I am shipping it we’ll double box it securely and can include insurance and whatever other assurances the buyer would like.